I was so proud! 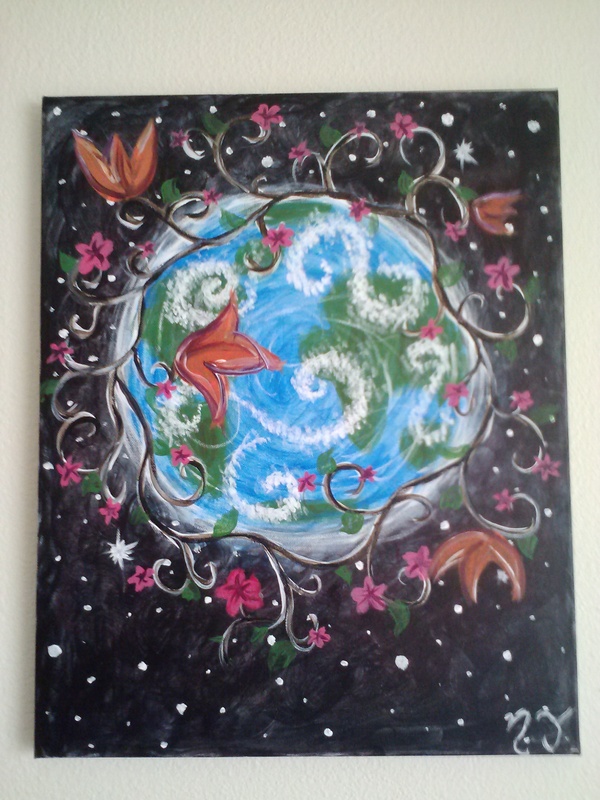 Granted, it was at Splash Milwaukee – a wine and painting bar where an artist showed us step-by-step how to paint it. But I was still proud! It was a lot of fun too! 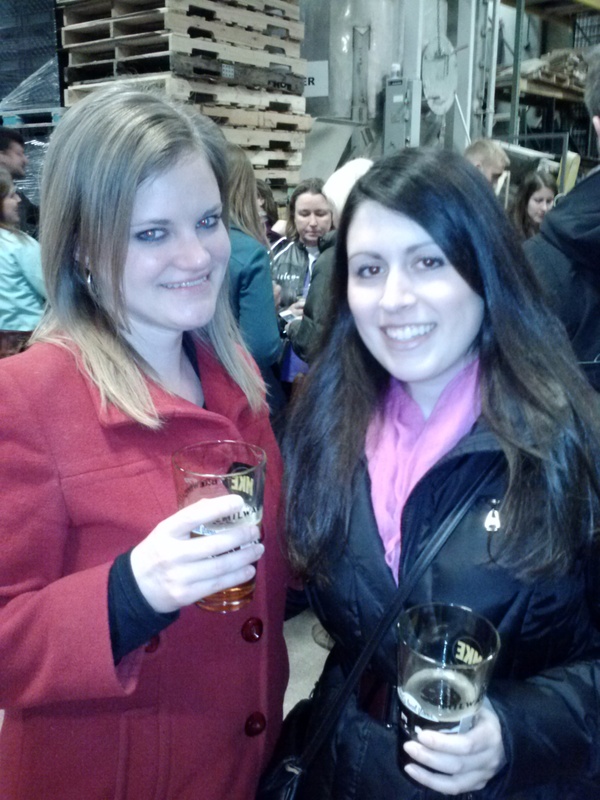 One of my friends from home visited for the weekend so we painted, did a brewery tour at Milwaukee Brewing Co. (where we got the very last tickets! ), and went to Bryant’s Cocktail Lounge, which is an old-fashioned lounge from the 1930s where there aren’t any drink menus but the bartenders can make pretty much anything. All in all, it was a great weekend. 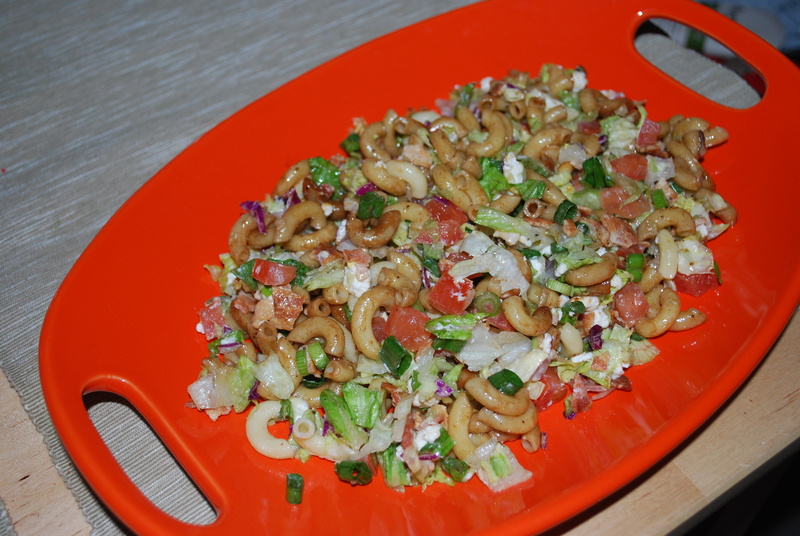 Here is something else I’m super excited about: this Copycat Portillo’s Chopped Salad!!! First, cook 2 cups Ditalini pasta according to the package directions then let it cool. It should come out to about 4 cups cooked pasta. 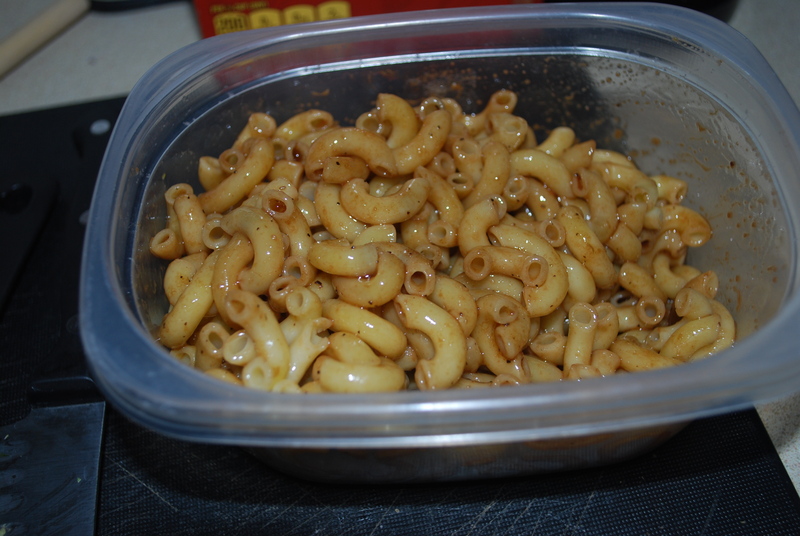 I couldn’t find Ditalini pasta at my grocery store so I used elbow macaroni instead. 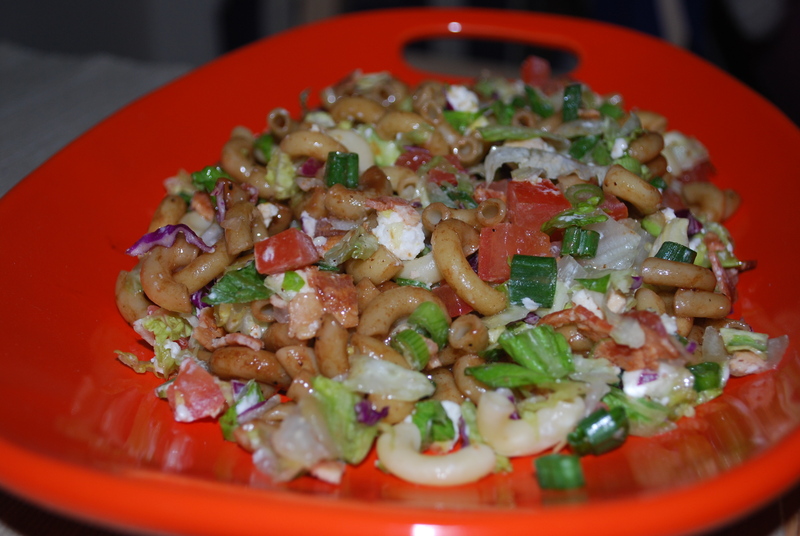 Ditalini is what Portillo’s uses, but you could certainly substitute it with other pasta like I did. While the pasta is cooking, cook 6-8 slices of bacon (skillet, microwave, oven – however you prefer) then let them cool and crumble them. 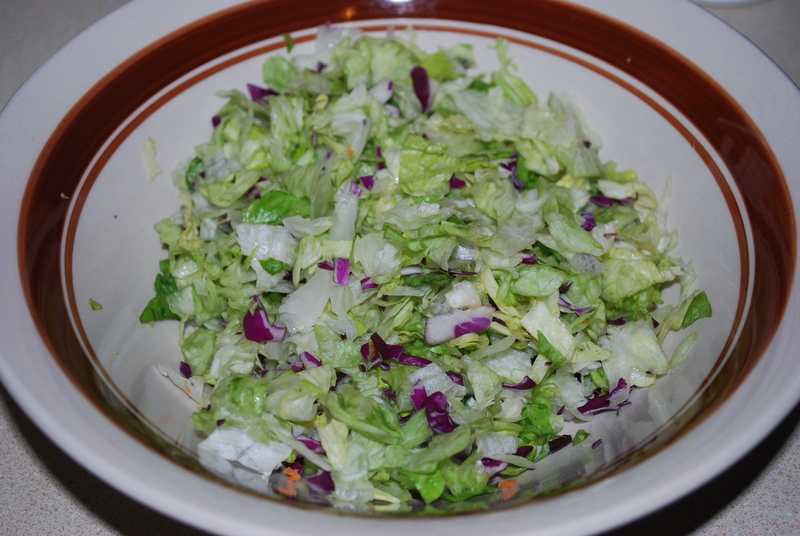 Chop 3 cups romaine lettuce, 3 cups iceberg lettuce, and 2 1/2 cups red cabbage then add into a large bowl. 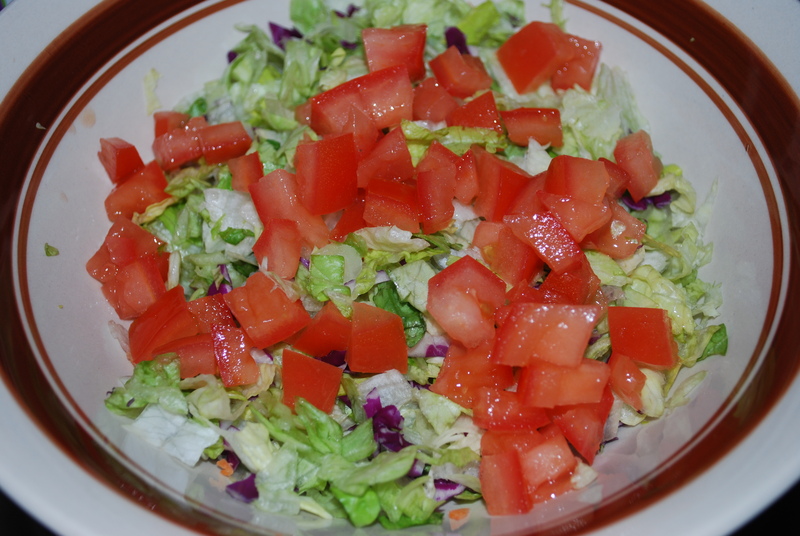 Chop 2 tomatoes then add into salad. 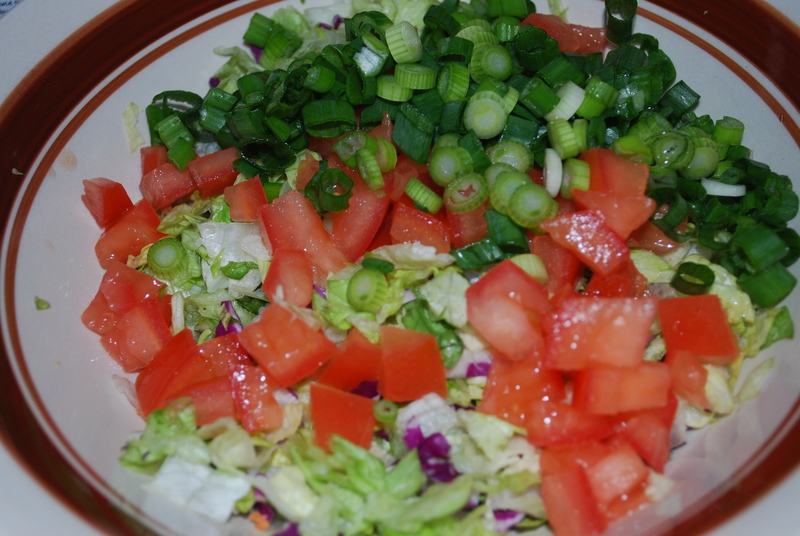 Chop 1 cup green onions then add into salad. 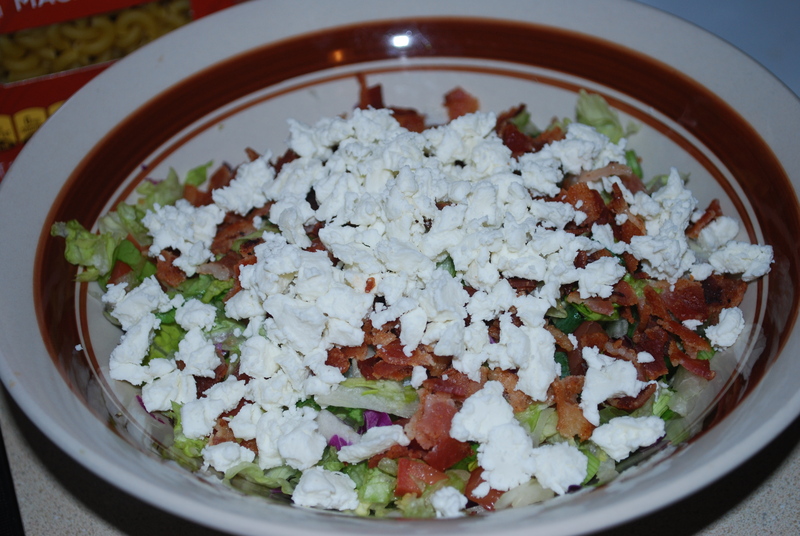 Top with 4 ounces crumbled Gorgonzola cheese. I actually used chevre cheese instead because I am not a big fan of Gorgonzola and chevre was what I happened to have on hand (since I’m a little obsessed). You could also add grilled chicken to the salad to give it some more protein. I forgot to thaw mine so I didn’t include it but you definitely could! For the salad dressing: add 1/4 cup balsamic vinegar, 2 cloves garlic – peeled and minced, 1 teaspoon sugar, 1/2 teaspoon dried oregano, 1/4 teaspoon salt, and 1/4 teaspoon freshly ground black pepper into a blender. While blending, slowly drizzle in 1/2 cup olive oil until it’s mixed in and well blended. 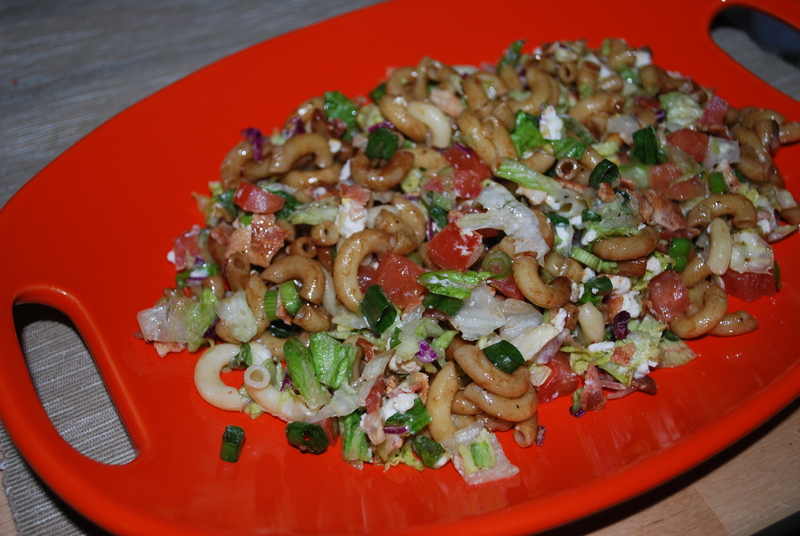 If you want to really put the salad over the top, put your cooked pasta in an airtight container with the dressing overnight and let the pasta soak up flavor from the dressing. That’s what I did and it was very flavorful! Yum! Now I can have a little bit of Portillo’s in Milwaukee! Cook pasta according to package directions. Set aside and let cool. Cook bacon in preferred method then let cool and crumble. 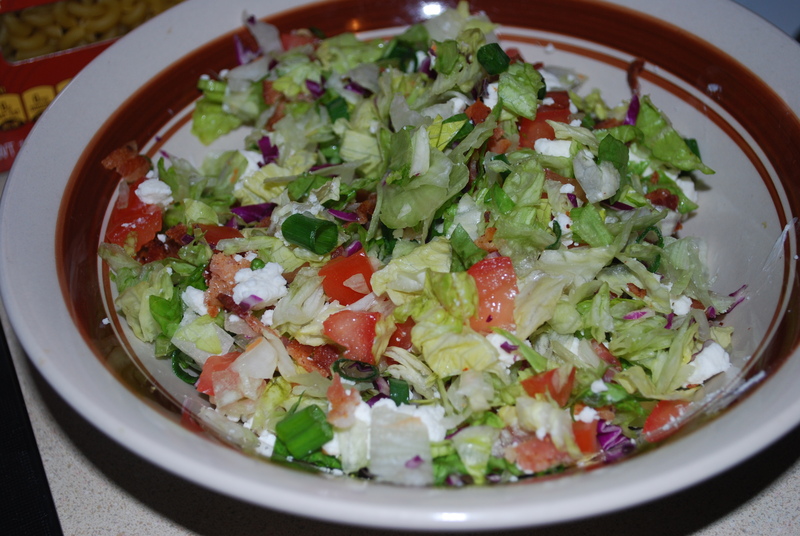 In large bowl, combine romaine lettuce, iceberg lettuce, red cabbage, tomatoes, and green onions. 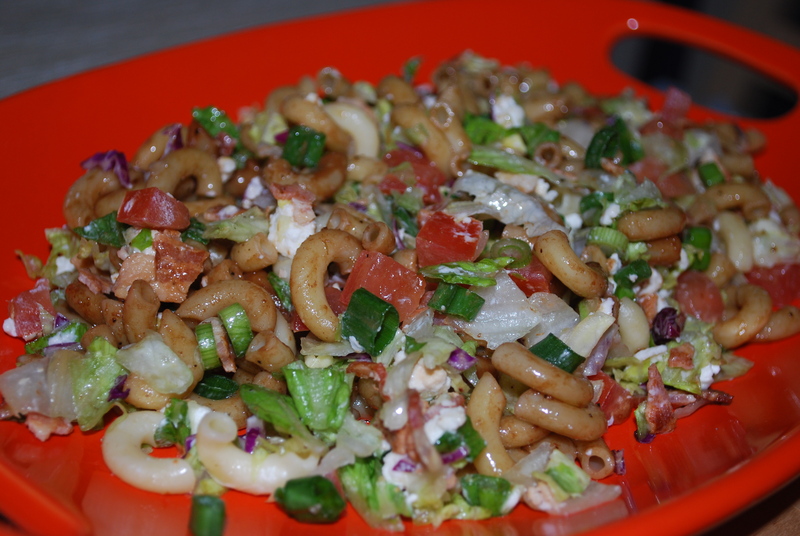 Add cooled pasta and crumbled bacon into salad. 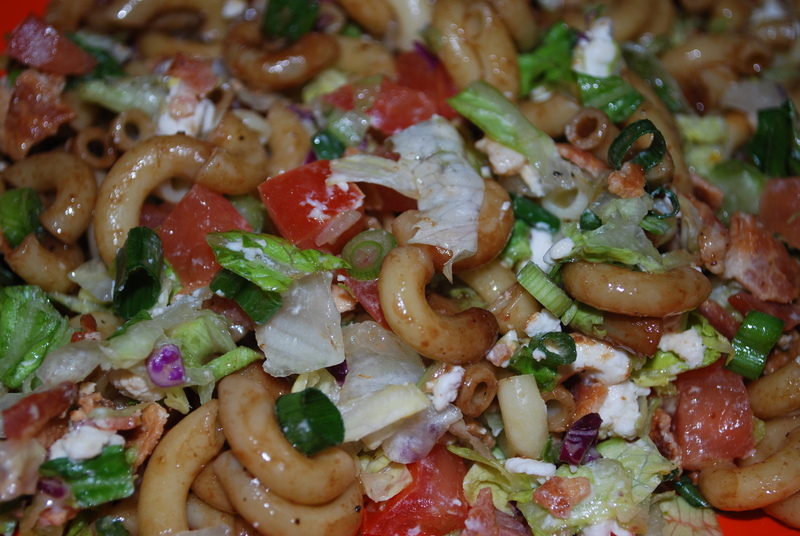 Add crumbled Gorgonzola cheese to salad then mix. 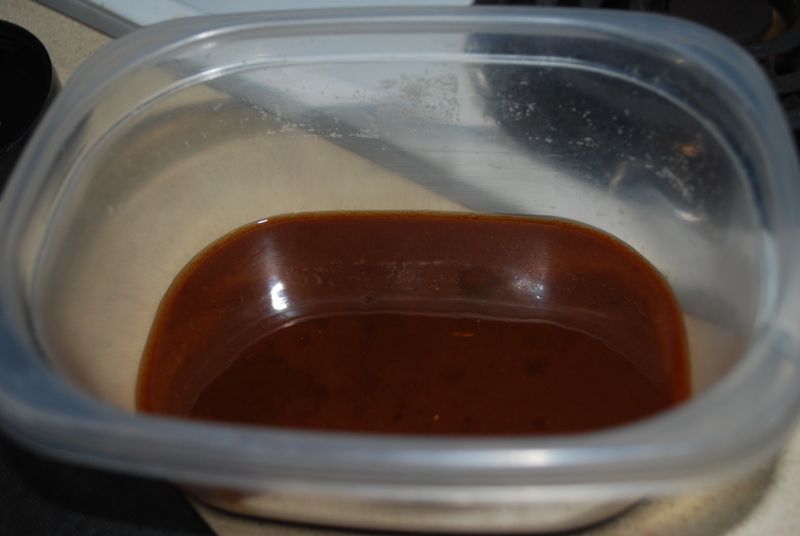 For dressing: Combine balsamic vinegar, garlic, sugar, oregano, salt, and pepper in blender. While blending, slowly add in olive oil until well blended. 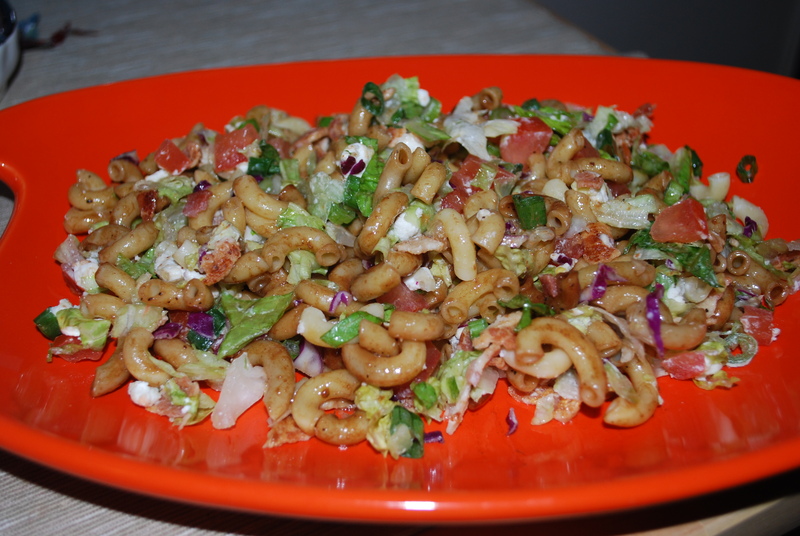 For more flavorful noodles: store noodles and dressing in airtight container overnight then add to the salad the next day. 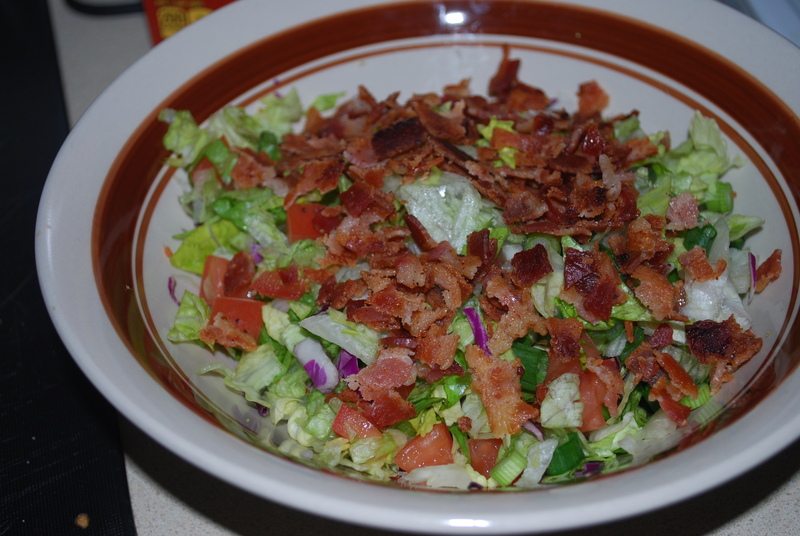 This entry was posted in Dinner, Healthy, Lunch, Salad and tagged bacon, chopped salad, easy, pasta, Portillo's. Bookmark the permalink.